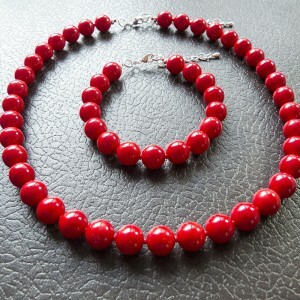 The set consists of a necklace and bracelet﻿. 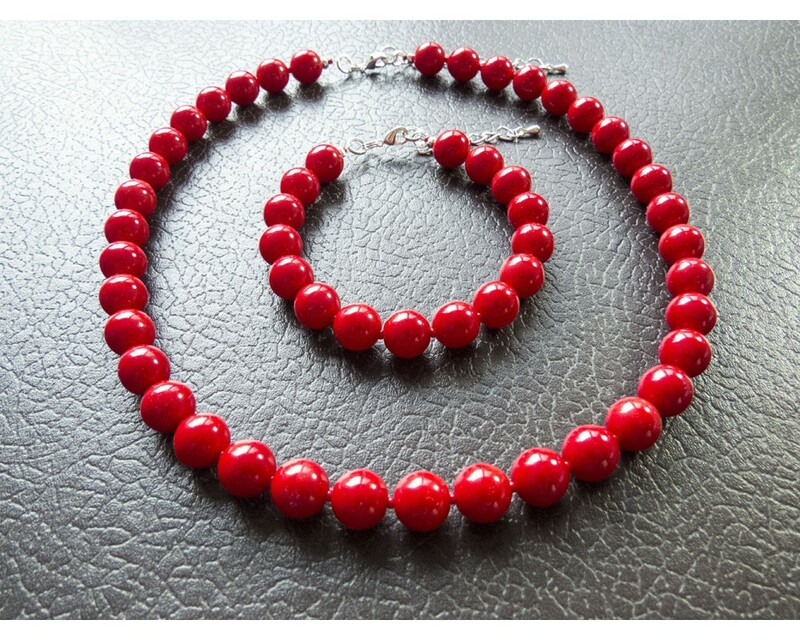 They are created from sponge coral beads with silver plated lobster clasp and regulation chain. 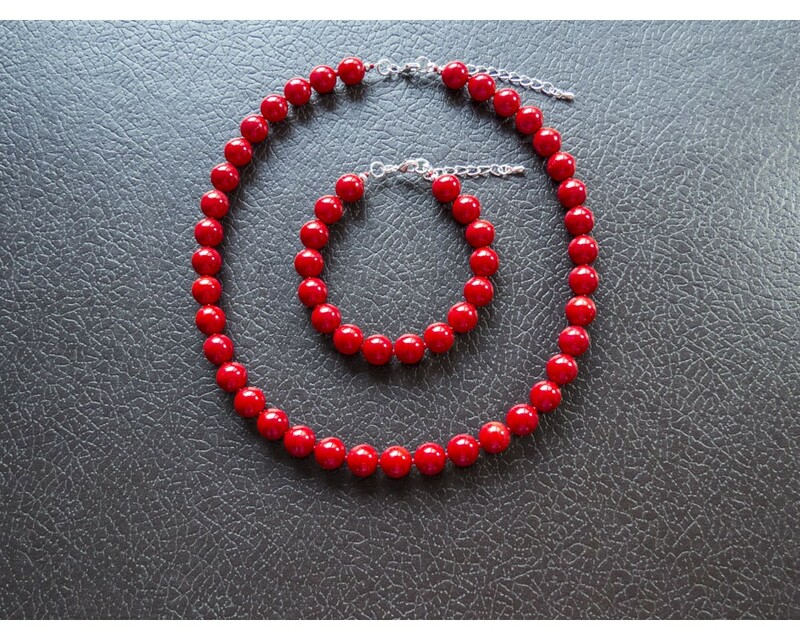 The necklace contains 38 pieces of 10 mm beads.